Get rreeaaddy for REEL ROCK! 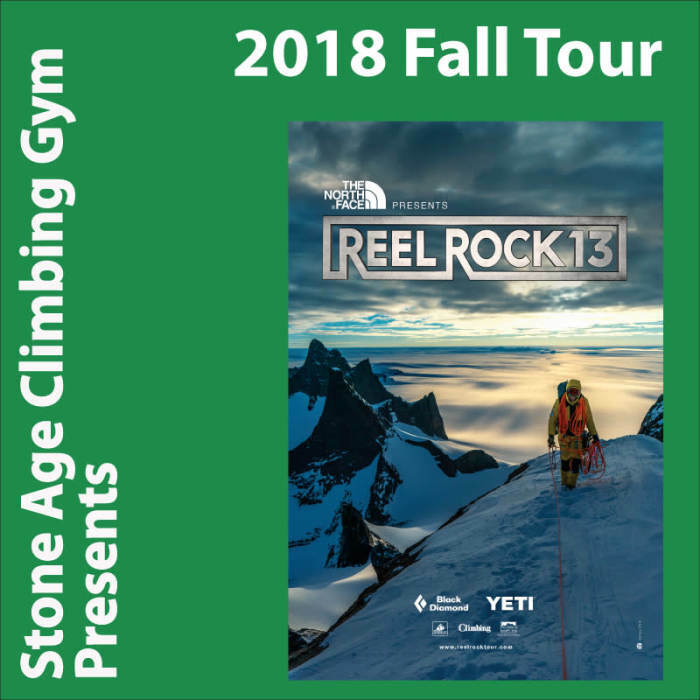 This November, REEL ROCK 13 blazes across the planet with a brand new collection of the year’s best climbing films, delivering jaw-dropping action, soulful journeys and rollicking humor. Every so often an athlete comes along who redefines their sport. Adam Ondra, the 25-year-old Czech crusher, is exploring a new realm of human potential in climbing. Late last year, he established a benchmark for the sport; a 5.15d in Norway he dubbed Silence (as in, drop the mic). On the heels of this ascent, we follow Adam from his home in the Czech Republic, across Europe to North America, as he innovates new training methods, establishes upper echelon first ascents, and attempts to be the first person to send 5.15 on the first try. Age of Ondra is a rare, intimate journey with one of the greatest athletes at the peak of his powers. When climbing was announced as part of the 2020 Olympics, it was a monumental occasion for the sport. But many climbers were shocked to learn that one of three combined events required to compete for a medal is… speed climbing. REEL ROCK correspondent Zachary Barr looks into this little-known and seldom practiced sub-discipline of the sport, and the role it will play in shaping climbing’s future. Barr’s journey from the U.S. to France (the birthplace of modern speed climbing) to South Asia (it’s actually huge there) culminates at an international competition in Moscow, where speed demons race up a 15-meter wall in less than six seconds. A dream team of six elite climbers mount an expedition to one of the world’s last great climbing frontiers: the remote frozen towers of Antarctica. Jimmy Chin and Conrad Anker tackle a new route on the 3,600-foot Ulvetanna; Savannah Cummins and Anna Pfaff summit the towering Holtanna; and Alex Honnold and Cedar Wright make a harrowing and hilarious blitz of 13 different spires spread across the ice field, including one pitch that Honnold calls “the scariest I have ever led.” Queen Maud Land — the name of this icy region — showcases a stunning, rarely visited wilderness, and the suffering and vision needed to climb at the bottom of the world. Wadi Rum, known as the Valley of the Moon, is a vast landscape of sandstone walls in the desert of Jordan. Hoping to lure international climbers, two Israelis team up with a local Bedouin guide to establish an 1,800-foot route, eventually recruiting American climber Madaleine Sorkin to help achieve their dream. The Valley of the Moon explores the importance of climbing as a way to cross cultural barriers, build friendship and chase adventure in one of the most breathtaking regions on earth.